Wild salmon is a great source of omega-3 fatty acids and vitamins, which are known to help prevent disease and promote overall health. The beneficial effects from salmon can be obtained either through consumption of salmon or salmon oil capsules. While the capsules may not offer the high protein content whole salmon does, they do provide nearly 300 to 500 milligrams of omega-3 fatty acids, which easily helps you meet the American Heart Associations recommendation of 500 milligrams of omega 3 fatty acids per day for heart health. Wild salmon oil contains high amount of omega-3 fatty acids DHA and EPA. Our bodies cannot make these, so to enjoy all of the heart healthy benefits they provide, we need to get them in the diet. Omega-3 fatty acids have been shown to reduce risk for coronary heart disease, decrease triglyceride levels, lower blood pressure, reduce inflammation and decrease risk for heart attack and atherosclerosis. A study done by the Fred Hutchinson Cancer Center in Seattle discovered that long-term fish oil supplementation reduced participants' risk for developing breast cancer. 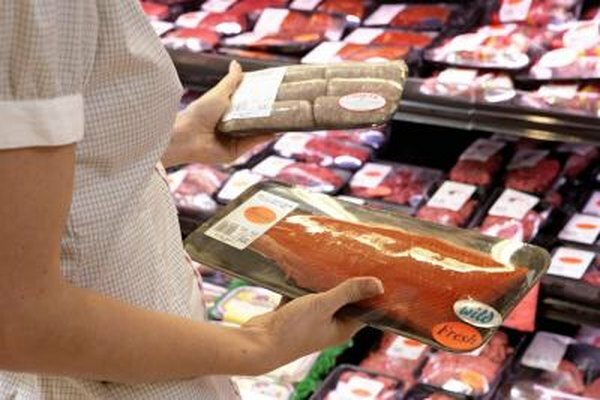 Consuming just one serving of fatty fish such as salmon per week can decrease your risk for developing renal cancer by 44 percent. The omega-3 fatty acids may also help to delay the progression of certain cancers. Omega-3 fatty acids in salmon oil are needed for proper brain function. The University of Maryland Medical Center reports that those with diets lacking in omega-3 fatty acids often show symptoms of fatigue, poor memory, mood swings and depression. Long-term salmon intake may also help to protect against the development of Alzheimer disease and age-related cognitive decline. In the body, omega-3 fatty acids can be further broken down into other compounds, one of which has been shown to decrease inflammation. These resolvins can help to decrease the pains associated with arthritis and swelling.